Comcast announced that Xfinity Mobile, a new wireless service designed for the way people use their phones today, is beginning to roll out in Xfinity Stores in the Chicago area, Central Illinois and Northwest Indiana. 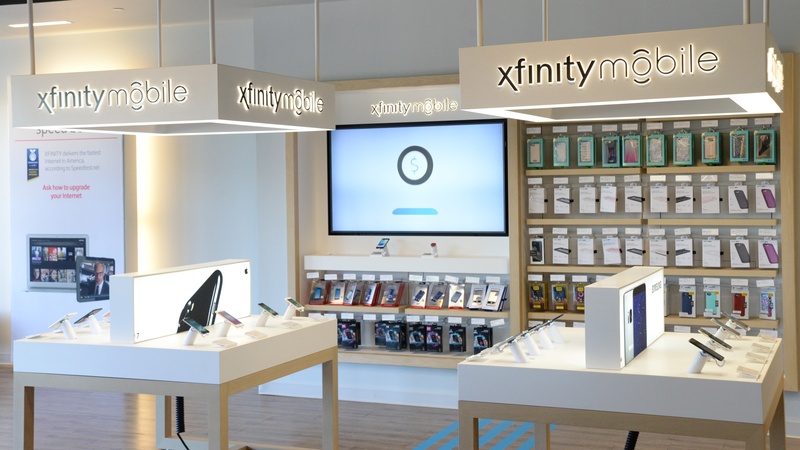 Comcast is introducing the service in its retail stores market-by-market – this is the first group of Xfinity Stores in the Midwest to make the service available. Xfinity Mobile combines the nation’s largest and most reliable 4G LTE network with the largest WiFi network of more than 17 million hotspots nationwide – including more than 1.6 million in Illinois and Northwest Indiana – to support a seamless internet and entertainment experience inside and out of the home. Available to all Xfinity Internet customers, the service is designed to save customers money with up to five lines included, unlimited nationwide talk and text, and no line access fees. Unlimited – Now through July 31, $45 per month, per line on up to five lines with no usage limits1. By the Gig – $12 per GB of shared cellular data across all lines on an account each month. Using the Xfinity Mobile app, customers can easily “switch and save” on their data plan – changing from “By the Gig” to “Unlimited” data options at any time during their billing cycle for no additional cost and then switching back to “By the Gig” at the beginning of the next billing cycle. In addition, with Xfinity Mobile, families can mix-and-match on an account so that each individual has the data option that makes sense for them. Xfinity Mobile offers the most popular devices on the market today. Payment options for devices include monthly installments across a 24-month period, or a one-time, upfront payment of the full retail price of the phone. Click here to locate the closest Xfinity Store. For more information and to purchase Xfinity Mobile online, visit http://xfinitymobile.com. Xfinity Mobile is the nation’s first wireless service combining America’s largest and most reliable 4G LTE network with 17 million Xfinity WiFi hotspots to deliver a great wireless experience, for less money, on the most popular devices. With Xfinity Mobile, customers can choose to pay only for the gigabytes they use, one gigabyte at a time, or select the unlimited data plan – easily switching from “By the Gig” to “Unlimited” at any time and no cost using the Xfinity Mobile app. For more information on Xfinity Mobile, go to www.xfinitymobile.com. With more than 7,000 local employees, Comcast’s Greater Chicago Region (https://chicago.comcast.com) serves customers in central and northern Illinois, including the Chicago area, northwest Indiana and southwest Michigan. “Like” Comcast’s Greater Chicago Region on Facebook by visiting @Comcast. “Follow” Comcast’s Greater Chicago Region on Twitter at @ComcastIllinois. Speeds reduced after 20 GBs.